Health and safety regulations regarding the isolation of industrial power supplies demand colour coded padlocks be used in conjunction with a lock off hasp. 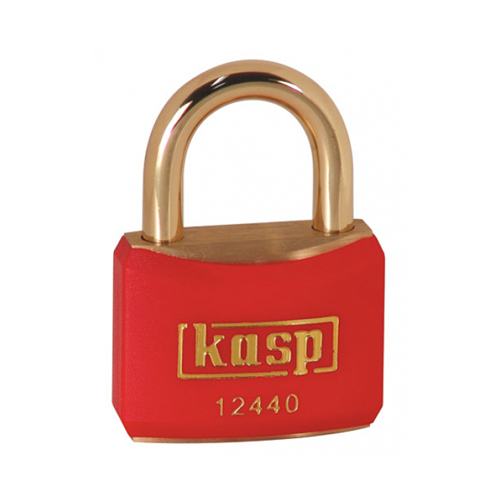 Kasp® padlocks, available in 6 colours, enables different departments or maintenance teams to operate autonomously, fulfilling health and safety obligations. Brass shackle - Anti-spark and added resistance to corrosion. Double bolted locking mechanism - Extra strength to resist torsion and pull attack. Soild brass body - Added resistance to corrosion. Anti-pick mushroom pins - Extra protection against picking. Paracentric keyway - Extra protection against manipulation. Plastic coated body - MAXIMUM resistance against corrosion.